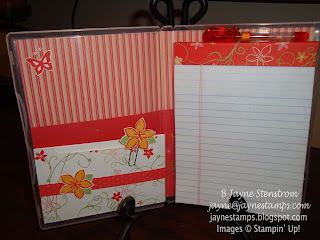 I have been wanting to make another one of these adorable DVD case notepad holders and I finally was inspired the other night to do it. I'm very pleased with how it came out. 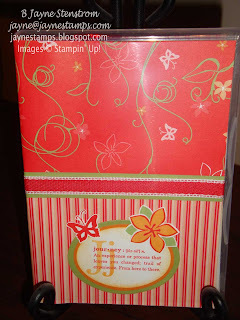 And yes, Stampin' Up! 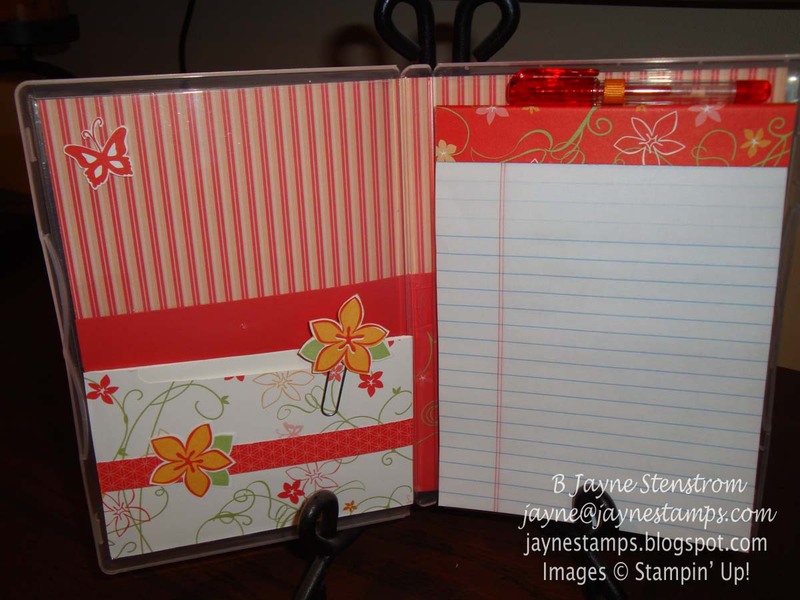 does sell these cases - they are called Clear-Mount Stamp Cases and are found on pg. 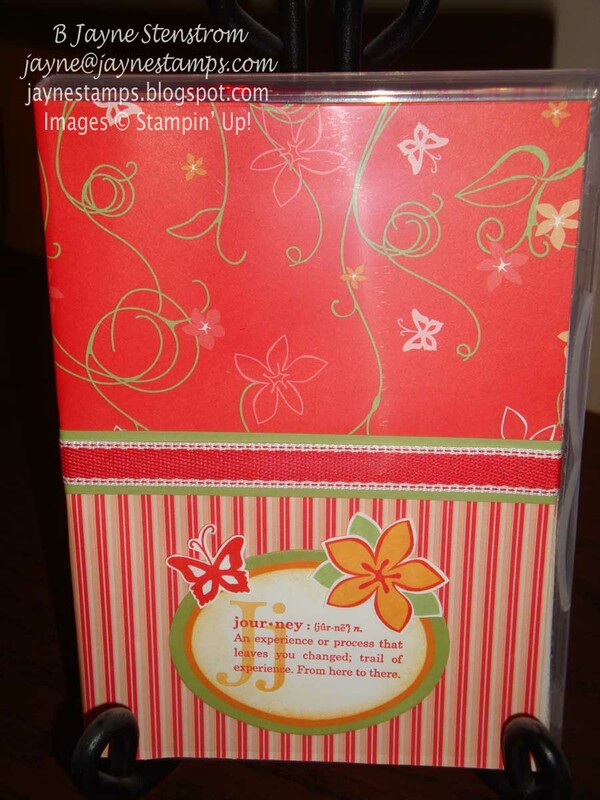 192 of the 2010-2011 Idea Book & Catalog (item #119104, set of 4 for $4.95). I made the "pocket" on the left with a Small Open-End Envelope (pg. 171 IB&C). I folded it to the length I needed, sealed it, and covered it with DSP. Then I cut off the top (which was originally the side of the envelope) and punched out a bit of the front so it made it easier to get into the envelope. I also added a ribbon loop at the top of the paper pad to hold my mini-pen in place. That way it doesn't fall out every time I open the case. Pretty smart, huh? What a great project! I love the Sunny Garden DSP. I use it a lot. Very cute and useful project! Easy too and I do love easy. thanks for sharing your creativity to inspire me.